Acetic acid was obtained before our era. Since ancient times and to this day, vinegar is an indispensable helper in cooking, medicine, and everyday life. It is a good way to preserve vitality and beauty. Some researchers argue that Cleopatra every day drink drink with Apple cider vinegar. But on the bottles of vinegar do not write for nothing "life threatening". Improper handling of this product will lead to severe burns. Learn how to neutralize the dangerous properties of vinegar. To avoid many of the problems at the stage of purchase of vinegar. Buy a quality product. 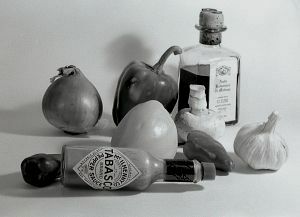 Vinegars are natural and synthetic. Natural produce acetic acid bacteria to alcohol-containing liquids, for example, fermented Apple juice or uncovered fault. Synthetic was obtained in 1898, today it is produced in the production of natural gas, by-products or chemical fertilizers in the dry distillation of wood. In Russia, 90% of vinegar produced from residue wood. It is better to use for commercial purposes: for removing rust, limescale, glue and much more. When you open the bottle, smell the vinegar from the bottle, and do not hold it close to your nose. So you can get burns of the respiratory tract. Wave your hand near golushka at a distance approximately equal ? arm's length to smell came up to you (as taught in school). Follow the proportions listed on the packaging. Failure to comply with the recommendations you can get burn stomach and other organs. If this happens, immediately call an ambulance. Doctors will determine the degree of the burn and prescribe treatment, or hospitalitynet. Before arrival of doctors give the victim ice or sunflower oil. Induce vomiting in such cases is impossible. Rinse water throat without swallowing many times. Wash the stomach using a probe 8-10 liters of cold water to clean the wash water. During normal washing, the vinegar will go the same way we came. It will aggravate the situation. Do not use the boards to neutralize the baking soda and other alkalis. In cooking, there are tricks neutralize the sharp taste of vinegar, depending on food to be cooked. Follow the recipe, don't neglect the neutralization of the vinegar – it can ruin the flavor and increase the acidity of the stomach. Vinegar is widely used in the home to neutralize odors. But then often have to get rid of the smell of the vinegar. Use to neutralize the odor absorber used as a means to care for Pets, and you can also try salt or baking soda. Remember, improper use of vinegar can cost you your health, beauty, and life! Keep vinegar out of reach of children!